Our clinic allows all clients to visitors to benefit from the five well-maintained and cozy guest rooms. 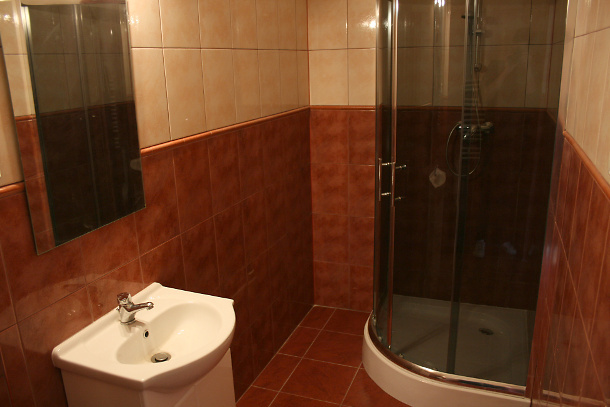 They are equipped with separate bathrooms with a shower, cabinet for clothes and LCD TV set. We also provide provide easy wireless Internet access over Wi-Fi . 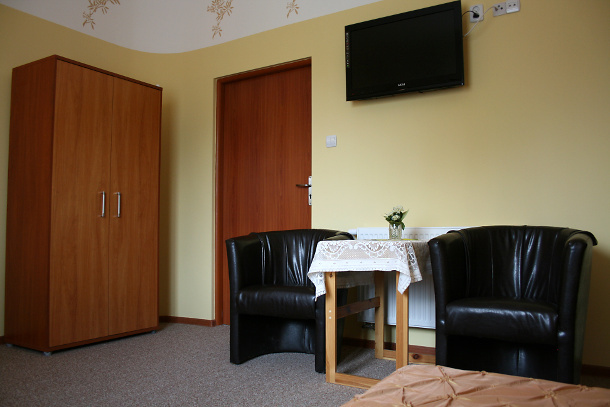 The rooms are designed both for our patients, in need of rest after surgery, as well as for those looking for the classic cheap accommodation near Lodz, comfortable guest rooms or employee accommodation. The building of Euroklinika is located in a quiet and peaceful Srebrzynska street 52 in Konstantynow Lodzki. In its area is a private, secure and large car park. The location is extremely beneficial due to the proximity of Łódź (approx. 20 min. by car or TAXI to the city center). It is also close the Lodz Airport (LCJ) called Lublinek (7 km). Here you can visit the airport's webpage http://www.airport.lodz.pl/en/. 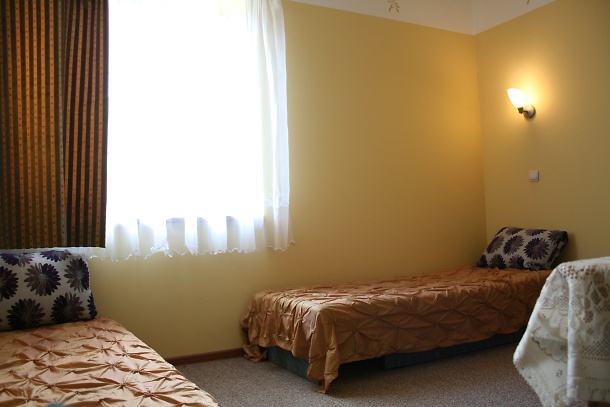 We also have two additional guest rooms located on the Smulsko housing estate in Łódź at Bojerowa 3 street. We warmly welcome patients from further regions of our country as well as people interested in accomodation at an affordable price. Call and book your room, tel. +48 664 926 826.